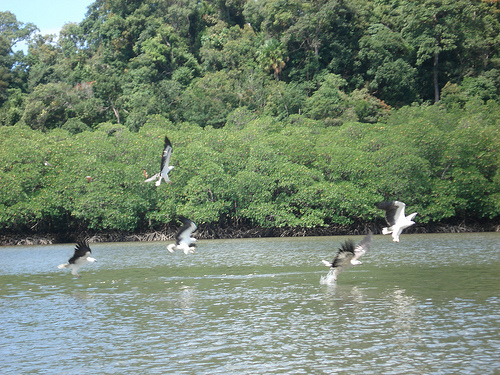 The beautiful and peaceful Pantai Beras Basah is located at the west tip of Langkawi, Kedah. 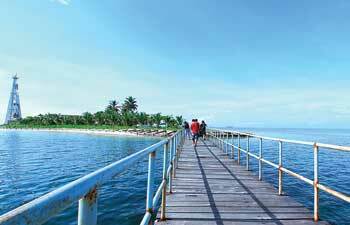 Located in Pantai Tengah, Visitors could get to the fascinating destination either at Pantai Cenang or Pantai Tengah based on the conveniences. With less than 30 minutes drive, you could find the Underwater World Langkawi and few shopping complex nearby. 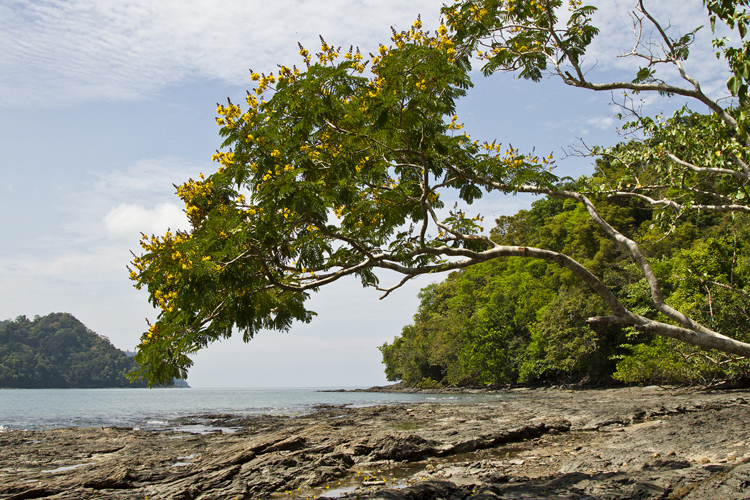 As the state being recognized as the only duty-free in Malaysia, it is in the must-visit list for everyone. 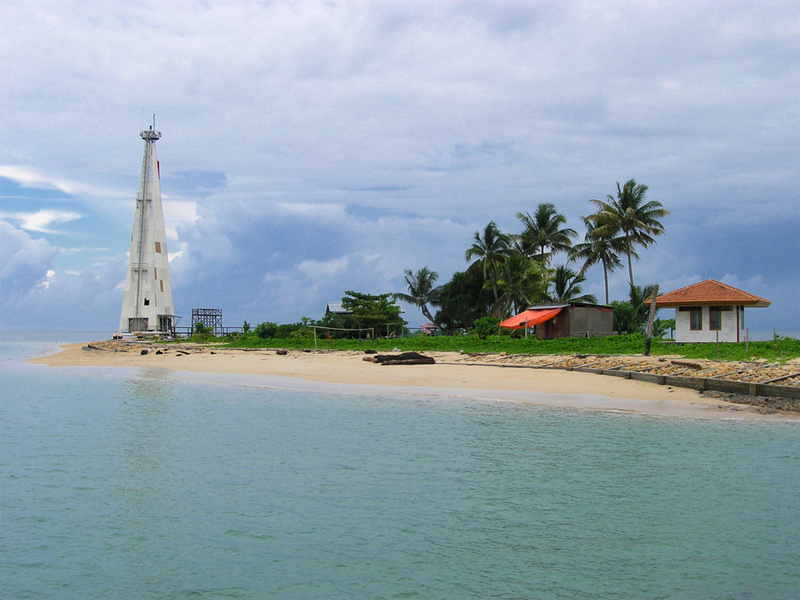 Basically, Pantai Tengah is the continuance of Pantai Cenang, it is deemed to be the longest stretch beach in the district. The magnificent beauty at Pantai Tengah is totally eye-catching for everyone. The scenery of sunset at the beach has drawn dramatically great responses from both the local and global attention. 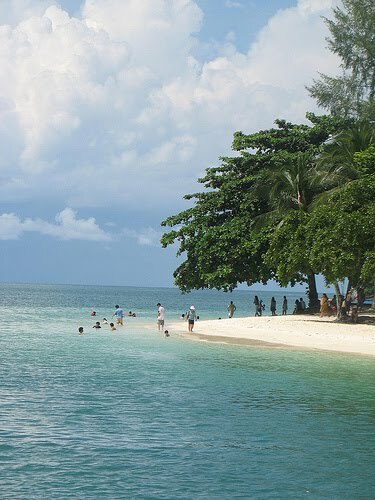 The breathtakingly beach with crystal clear water is most suitable for snorkelling and swimming. The rare white sand on the beach is recognizable to be taken and being kept by many tourists as souvenirs. Island hopping is definitely highly recommended because it is a great way to visit the whole island as well as Pulau Dayang Bunting and Pulau Singa Besar. The nearest place for getting souvenirs is the shops along Pantai Cenang and Zon Duty-Free Shopping Complex - items from perfume, chocolates, liquors and handicraft are available for everyone selection. Namely Awana Porto Malai Hotel, Lanai Langkawi Beach Resort, Holiday Villa Beach Resort & Spa Langkawi, etc are located near to Pantai Tengah. Different hotels offer interesting packages and prices that will suit everyone budget. 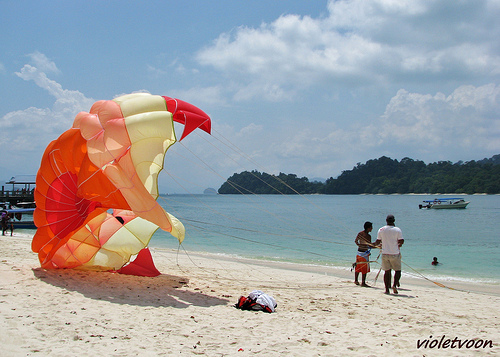 Pantai Beras Basah will not let you down with its white sand beach and crystal clear water. The shopping complex is and added enrichment to the wonderful experience. Some established agencies could make arrangement for island hopping tour. The price ranges from the services and packages it offers. Departure will take place at Pantai Tengah or Pantai Cenang. Tourists can opt for walking if stay at Pantai Cenang and Pantai Tengah. The whole journey should take less than 15 minutes. Other than that, taxi would be the next great options.